For Matt Siber’s Billboard Vinyl series, used billboard advertisements are transformed by the act of suspending them from the ceiling, obscuring their message in the drapes and folds of the heavy vinyl material. This treatment emphasizes the scale and materiality of these objects as opposed to their content—reversing the viewer’s typical experience of such ads. 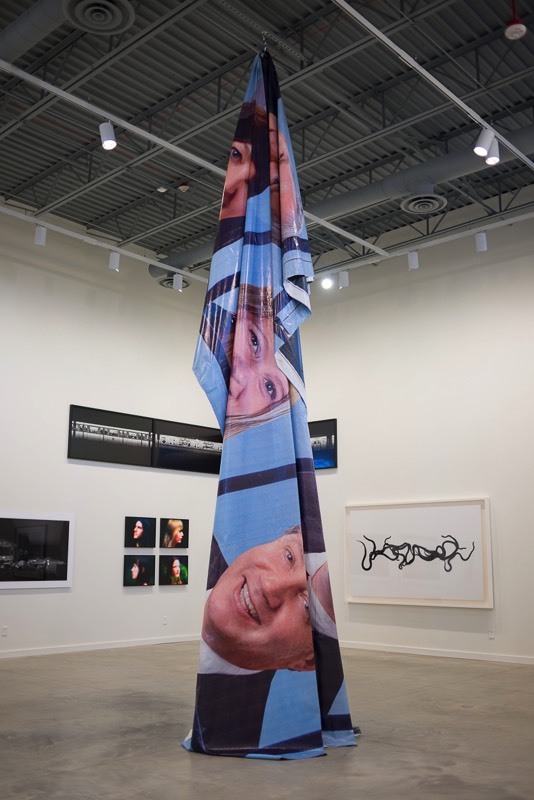 The loose, hanging form implies inertness and obsolescence—a message without an audience—while the installation invites viewers to consider the piece in purely aesthetic terms.